One of the questions we get asked a lot in the clinic is “so – are you a doctor?” or “what do I call you?” There have been some fairly recent changes to the curriculum physical therapists have to go through in grad school to earn their title; Toby Bluth (PT, DPT) is going to explain it to us today and hopefully clear up any of the confusion that may be out there. Keep reading to learn more! Your physical therapist (PT) is a trusted healthcare provider who is expertly trained in the musculoskeletal and movement system. Your PT received an in-depth, quality education and provides hands-on treatment for a multitude of injuries that can limit your mobility. Given this level or training and expertise, however, the question arises – is your PT a doctor? In the year 2000, the American Physical Therapy Association adopted a vision statement that shaped the direction of physical therapy education. This vision statement expresses: “Physical therapy, by 2020, will be provided by physical therapists who are doctors of physical therapy…” Since that year, physical therapy programs throughout the country have made the transition from a Master’s level of education (MPT), to the Doctor of Physical Therapy (DPT). Classes were added to typical PT school curriculum including radiology, pharmacology, women’s health, and vestibular rehabilitation. In 2009, I graduated from the University of Utah with a Doctor of Physical Therapy degree. Now, all programs throughout the country offer the DPT degree. The Bachelor’s of Science in Physical Therapy, and the MPT degree, are no longer options for those wanting to become a PT. 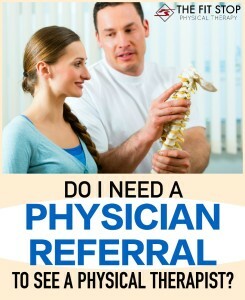 With the DPT degree now commonplace, I think it’s important to note that physical therapists are not medical doctors. PTs do not attend medical schools and are not physicians. PTs attend physical therapy schools that are usually a department or division within a College/School of Health at major public and some private universities. A bachelor’s degree in any field is a prerequisite for PT school, along with the required core science curriculum consisting usually of anatomy, physiology, biology, chemistry, physics, kinesiology, and psychology, to name just a few. Most students opt for a science major to help fulfill these prerequisites. Once the bachelor’s and other prerequisites are completed, PT school is another three years after the bachelor’s. Some PTs who graduated prior to the DPT degree have decided to go back to school to earn a doctorate, called a transitional DPT (tDPT). So, what’s the answer? 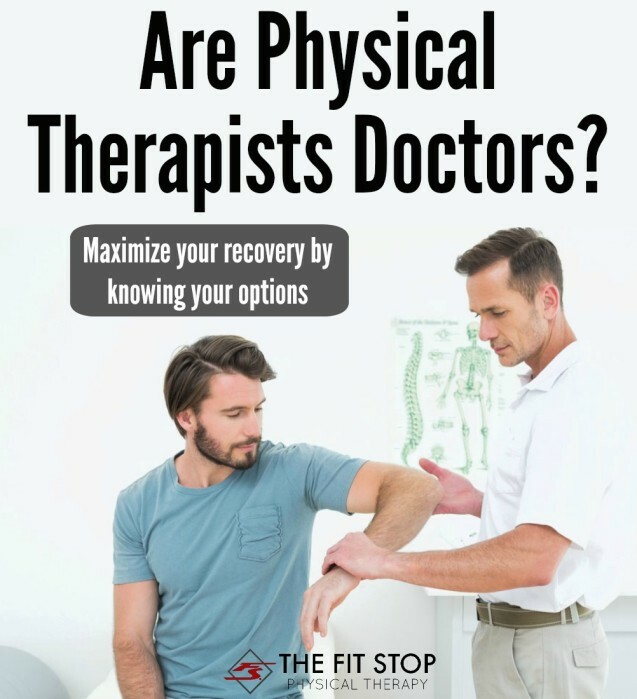 Is your PT a doctor? The bottom line is it depends on primarily the year they graduated, which is linked to the type of degree most likely earned. If he or she graduated in the mid 2000’s, it is more likely that a DPT was earned. 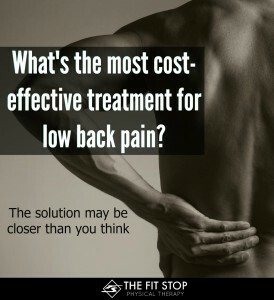 Prior to then, it is more likely that your PT is a bachelor’s or master’s trained PT. However, your PT may have earned a tDPT at some point following their bachelor’s or master’s training. 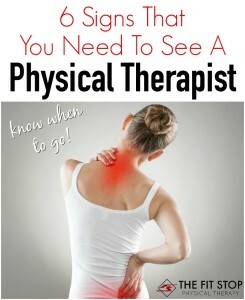 I hope this helps to clear up some of the confusion surrounding the physical therapy profession. If you have any further questions, or if you have an issue that physical therapy can possibly help, we would love to hear from you! CONTACT US at this link.